On September 19th, ATAS International welcomed guests from several countries to the ATAS headquarters in Allentown, PA for the biennial International Melting Pot event. The guests, all of whom are ATAS product distributors, gathered for education sessions, plant tours, and information exchanges. ATAS continues to grow their export business and develop relationships with distributors throughout the world. Joao DaCosta, Director of International Business Development for ATAS, stated, “We were pleased to receive our international distributors for this third biennial meeting. The four-day event was full of collaborative ideas and enthusiastic networking. Our guests shared their business experience with ATAS and each other, and all left with many new and renewed global relationships.” The event wrapped up with a trip to New York City, where guests were treated to a matinee showing of the musical, Aladdin, followed by dinner. DaCosta, who is also a professor of international business and global supply chain at Baruch College of The City University of New York (CUNY) in New York City, sees the Greater Lehigh Valley area as a strategic location for the manufacturing industry and for continued growth in the exporting of products. ATAS International, Inc. honored its 2017 Project of the Year winners at a recent awards banquet. This annual competition recognizes projects in which ATAS products have been incorporated into the design of the building. Six project categories were included in this year’s competition: commercial roofs, commercial walls, residential roofs, residential walls, and two new categories for 2017: accents and interiors. An independent panel of judges reviewed photos of all the projects submitted throughout the year and chose first, second, and third place winners in each category. Receiving the first-place honors for commercial roofs was the Sprinkles at Disney Springs project in Lake Buena Vista, FL. Champagne CastleTop panels were used on this building, which were installed by S&S Roofing Systems, Inc. and purchased through Gulfeagle Supply. For the commercial walls category, the Ascent Uptown project in Charlotte, NC, designed by R2L: Architects, PLLC, took first-place. Perforated Corrugated Panels in Rocky Grey, Regal Blue, and Slate Blue were purchased through Southeastern Architectural Systems. Taking the first-place award in the residential roofs category was a private residence located in Lewistown, PA. Mission Red Techo Tile panels were used on the roof of this home. The panels were purchased through DS Siding and were installed by Stonewood Enterprises. The residential walls category first-place winner was a residential townhouse located in Philadelphia, PA. Designed by Arbitare Design Studio, Classic Bronze Opaline panels were installed on the walls by Kevin Hartzell, LLC. The panels were purchased through Allied Building Products. For the accents category, the CaroMont Regional Medical Center project in Gastonia, NC, took first-place. Perforated Corrugated Panels in Dove Grey were purchased through Southeastern Architectural Systems. RPA Design created the unique application of the panels on this building. For the interiors category, Blaze Pizza in Canton, OH, was recognized as the first-place winner. Belvedere 7.2” Rib in Classic Bronze, Mission Red, and Dove Grey colors were incorporated into the design created by WT Development Corporation. The panels were installed by RCW General Contractors, Inc. and purchased through Prestige Products, LLC. ATAS International’s operations were certified to the ISO 9001:2000 international quality system standard in 2006. In April 2018, the ATAS ISO certification has been upgraded to ISO 9001:2015 (with design in the Allentown, PA locations). This certification assists ATAS with maintaining industry leadership; utilizing a customer focus and quality improvements that are consistent with continued growth, enhanced customer service, and employee satisfaction; harnessing growth responsibly. The ISO 9001:2015 certification is valid until April 2021. It is applicable to ATAS’ design and manufacturing of metal roofing systems, wall panels, ceilings, rainware, framing systems, flat sheets, slit coils, and toll processed products for commercial and residential construction industries, including products that promote improved energy efficiency. It is also issued to ATAS as a provider of additional materials, components, and supplies that are required for a complete system approach to construction projects. ATAS chose Intertek as their partner to assist in the transition to ISO 9001:2015. Intertek is a leading quality solutions provider to industries worldwide, helping their customers to improve the quality of their products, services, assets, and processes. The ISO 9001 series of certifications is based on seven quality management principles, including: customer focus, leadership, engagement of people, process approach, improvement, evidence-based decision making, and relationship management. The 2015 version of ISO 9001 is less prescriptive than its predecessors and focuses on performance. This is achieved by combining the process approach with risk-based thinking and employing the Plan-Do-Check-Act cycle at all levels in the organization. Greater emphasis on building a management system suited to each organization’s particular needs is applied. ATAS International, Inc. has been awarded a 2018 Top Workplaces honor for the third consecutive year by The Morning Call. The organizations who receive a Top Workplaces award are determined solely on the results of an employee feedback survey administered by Energage, a leading research firm that specializes in organizational health and workplace improvement. Several aspects of workplace culture were measured, including employee engagement, leadership, alignment, and connection, just to name a few. Engaged employees are known to drive productivity and results at work, which benefit the organization’s own team members, as well as their customers. I would recommend working at ATAS because coworkers, working conditions, benefits, and camaraderie are positive. There is always a product, process, or activity new and different on the horizon. The leaders are dedicated to keeping the company growing by looking for new products, ideas, and investing in new equipment to keep the employees growing and secure in their jobs. Different points of view are encouraged at ATAS during meetings and with the open-door policy of managers. We realize it’s important to hear how others view something which may result in a positive change in how something is being done. They are very flexible with personal commitments and accommodate requests to work around our standard schedules when needed. Leadership, sales, and business development courses and on-line training is formal training found to be most valuable. My supervisor is excellent in his management style and training style. Very understanding and tailors to each individual’s way of learning. I am always challenged and love my job. I am given decision making power. 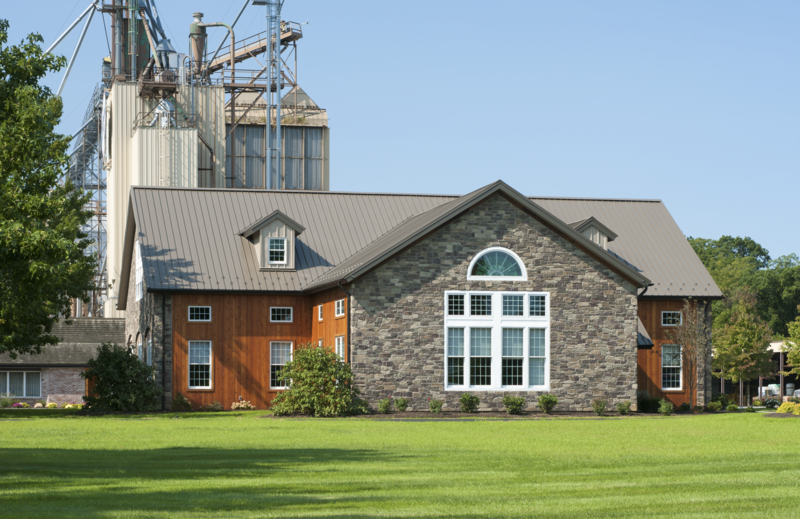 The Jaindl Farms office complex sits on an a 12,000-acre turkey farm complete with its own feed mill. Photo: Steve Wolfe Photography. Jaindl Farms is a multigenerational family business that encompasses a land development company and a fully integrated turkey farm. Its headquarters sits on 12,000 acres of farmland in Orefield, Pennsylvania, where the company grows the crops to make the feed for its turkeys. When the owners contacted MKSD Architects in Allentown, Pennsylvania, about adding space to their offices, the goals were to provide room to expand and to honor the Jaindl family’s history and legacy. 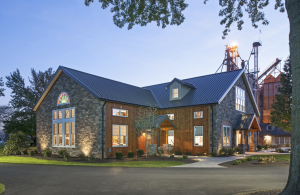 The new two-story addition was constructed with wood repurposed from a barn built around 1900. It was topped with a new standing seam metal roof. Photo: Steve Wolfe Photography. The roofing contractor on the project was The Gehringer Company, headquartered in Whitehall, Pennsylvania. The company was called in to handle the project by the general contractor, Allentown-based Bracy Contracting Inc. 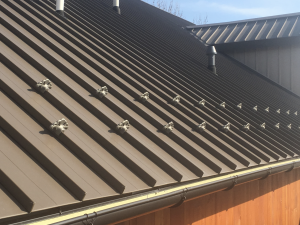 The Gehringer Company’s president, Tom Gehringer, recommended a Dutch Seam roof system manufactured by ATAS International because it had the durability and aesthetics the project required, but was also easy to install. “It’s less labor-intensive than other systems because it doesn’t require a mechanical seamer,” he notes. The roof features dormers to bring in natural light. The dormers are sided with metal panels to minimize roof maintenance. Photo: The Gehringer Corporation. Roofing crews also tied in a small section of new cedar shakes to extend the hallway of the existing structure and connect it to the new addition. “We installed the original cedar shakes on the adjacent section for Bracy Contracting almost 20 years ago,” notes Gehringer. The snow guards installed on the project were chosen in part because they reminded the business owners of a turkey’s tail feathers. Photo: The Gehringer Corporation. Metal Siding Panels: ATAS Multi-Purpose Panels MPW120, .032 aluminum, Sierra Tan, ATAS International Inc. Synthetic Underlayment: ATA-Shield, ATAS International Inc.
ATAS International, Inc. was proud to host Lehigh Carbon Community College’s (LCCC) Mobile Manufacturing Lab, in the parking lot of ATAS’ headquarters located in Allentown, Pa. Six students from four area companies earned certificates in the Industrial Automation training held Aug. 15 through Dec. 5, 2017. The unique learning within this Mobile Manufacturing Lab targeted the mechanical/electrical maintenance needs of local manufacturers. At the completion of the program, created by LCCC’s Center for Leadership and Workforce Development, students should qualify for an entry level maintenance technician position at most area manufacturers. The 200-hour Industrial Automation Technician course combined online coursework followed by hand-on training in the Mobile Lab. Course curriculum included AC/DC electrical systems, electrical motor control, electronic sensors, electrical systems control, mechanical drives, pneumatics, and programmable controllers. 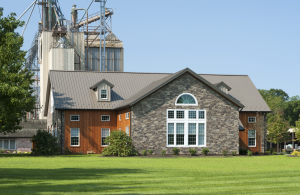 Made In America Store: Elma, N.Y.
Dutch Seam, continuous standing seam metal roof panels, eliminates the need for separate seam caps and field seaming. Mark Andol is the owner and founder of General Welding and Fabricating, with locations in Elma and Rochester, N.Y. That business, which manufactured structural and decorative steel components for this store, has been operating since 1989. When the recession hit almost 10 years ago, Andol lost much of his business to companies located overseas, forcing him to cut his workforce to half its size. At that point, he began envisioning a store that would only carry products that are 100 percent American made, to help grow manufacturing within the United States. Andol’s vision became a reality in 2010 when he opened the doors to the first Made in America store in Elma. The mission of the Made in America Store is to create and save jobs in the United States by increasing American manufacturing. By installing ATAS’ Dutch Seam metal roofing panels, which are made in America, on this new flagship store, it only further reinforced this mission. 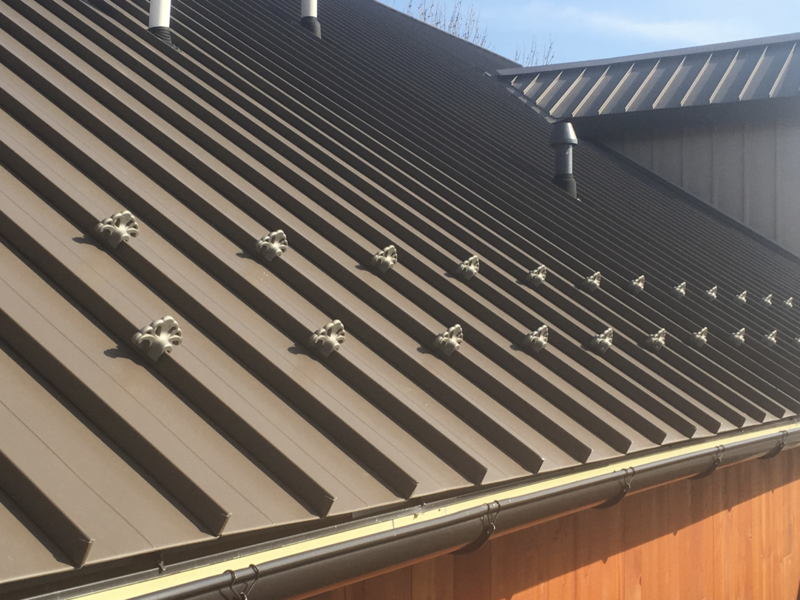 Dutch Seam, a continuous standing seam metal roof panel, features an integral lock and seam which prevents “blow-off” or “creeping” of the seam. It also eliminates the need for separate seam caps and field seaming. 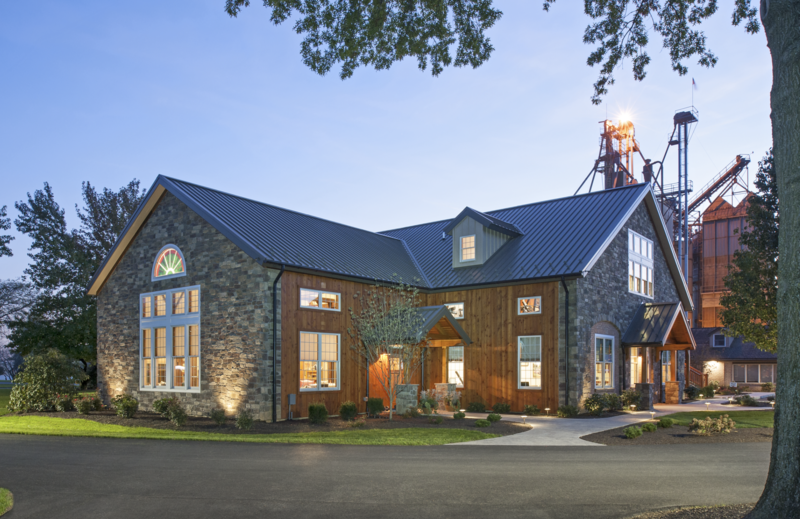 When ATAS International announced the company’s 2016 Project of the Year winners at an awards banquet on May 8, the Made In America flagship store project took first place in the commercial roofs category. Architect: Lydon Architectural Services, Buffalo, N.Y.
General Contractor: Kulback’s Construction Inc., Lancaster, N.Y. Installing Contractor: Bayford Construction, Lancaster, N.Y. 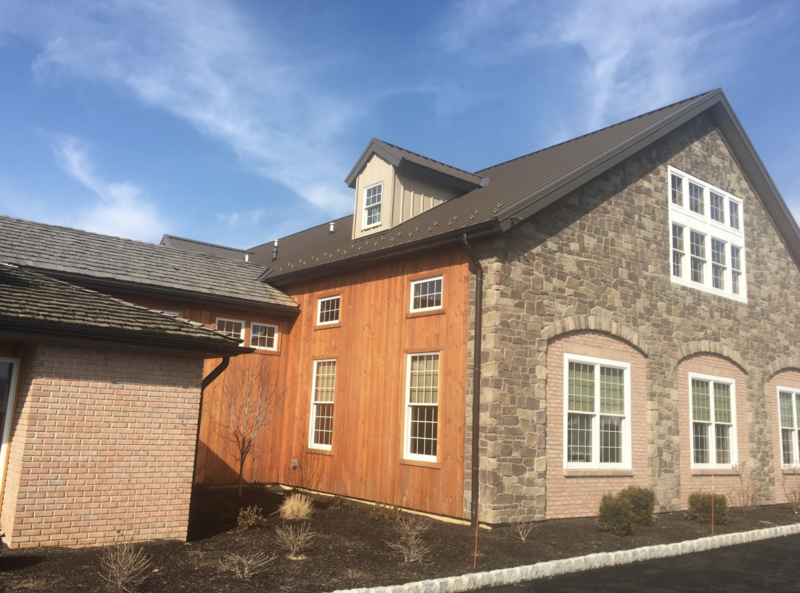 Roof System Manufacturer: ATAS International, Allentown, Pa.
ATAS is pleased to announce that their products can be found in the BSD SpecLink-E program. Sections include metal shingles, metal roof tiles, metal roof panels, metal wall panels, insulated metal wall panels and roof specialties, along with other sections. BSD SpecLink-E combines the industry’s content with software. The master guide specification writing, management, and production system with built-in intelligence is designed to help specifiers speed up editing tasks and reduce specification production time while minimizing errors and omissions. SpecLink-E is used to produce documentation for all types of projects and for all phases of a project, from programming all the way through construction administration. The database of over 783 sections can be expanded or collapsed to provide outline, short form, and full construction specs, without the need to start over at each phase of a project. ATAS International Inc. will be hosting Designing with Metal – Building Envelope Education, an AIA/CES education event at the Building Envelope Design Center in Mesa, Ariz. on Thursday, Feb. 9th and Friday, Feb. 10th. In addition to four presentations by ATAS, and a plant tour of the manufacturing facility, four additional presentations will be given by other individuals in the architectural building envelope industry. Umicore Building Products USA/VMZINC, Lorin Industries, Hendrick Architectural Products, and Roofinox America will also be sharing knowledge about zinc, anodized aluminum, perforated metal, and stainless steel. Architect members of the American Institute of Architects are required to complete 18 LUs from registered AIA/CES providers each year. Of the 18 LUs, 12 must be in the topic areas of health, safety and welfare (HSW). By attending this entire event, a total of 9.5 LUs can be earned; more than half of the annual AIA membership requirements.